There are several distinct Framingham risk models. MDCalc uses the 'Hard' coronary Framingham outcomes model, which is intended for use in non-diabetic patients age 30-79 years with no prior history of coronary heart disease or intermittent claudication, as it is the most widely applicable to patients without previous cardiac events. See the official Framingham website for additional Framingham risk models. Patients aged 30-79 years with no prior history of coronary heart disease. Do not use in patients with intermittent claudication or diabetes. The Framingham data, while thorough, come from many years ago with a potentially different US population along with a different diet and level of smoking as well, which may suggest different risk levels today. Patients with high risk scores should be counseled aggressively about social factors contributing to their risk (smoking, exercise, weight, diet, etc) and also managed with blood pressure and lipid evaluation. *Yes = 1, No = 0. **Men: if age >70, use ln(70) x Smoker. Women: if age >78, use ln(78) x Smoker. **Low risk was calculated for a person the same age, optimal blood pressure, LDL-C 100-129 mg/dL or cholesterol 160-199 mg/dL, HDL-C 45 mg/dL for men or 55 mg/dL for women, non-smoker, no diabetes. Wilson PW, et. al. Prediction of Coronary Heart Disease Using Risk Factor Categories. Circulation 1998. 97(18): 1837-1847. 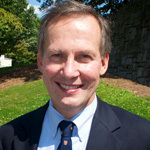 Peter W. F. Wilson, MD, is professor of medicine in the cardiology division of Emory University and a professor of public health at the Rollins School of Public Health. He is currently the director of epidemiology and genomic medicine at the Atlanta VA Medical Center. Dr. Wilson researches metabolic and cardiovascular population issues, focusing on determinants of CAD, including diabetes mellitus, hormonal factors, inflammatory markers, and genetics.